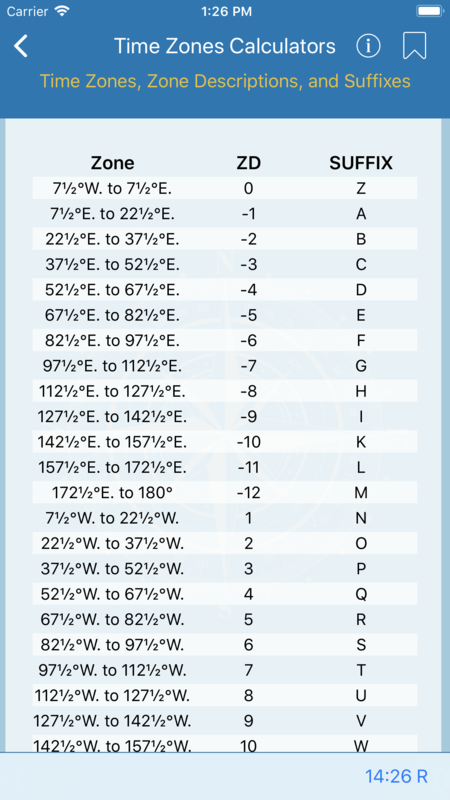 All nautical time zones and a chart that lists their zone descriptions, coordinates and suffix. 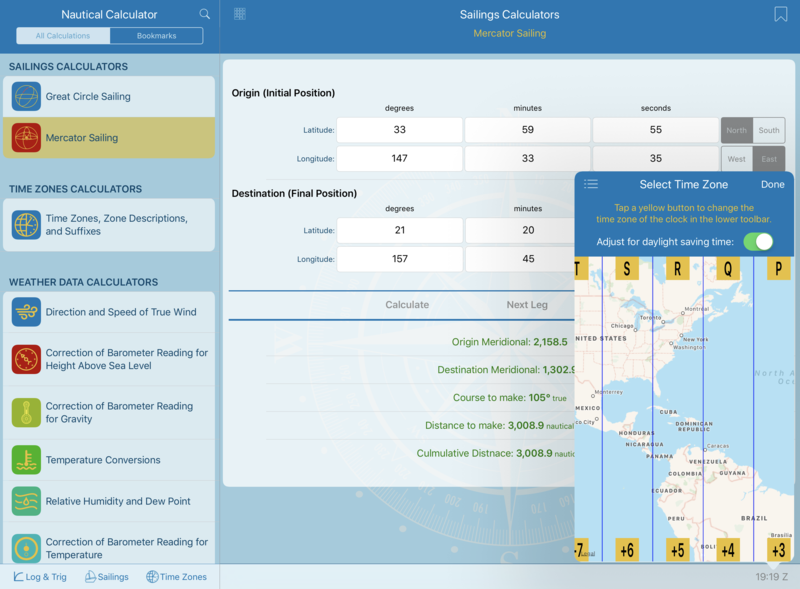 We've included a clock in the lower right of the screen that displays your desired time zone, a map that depicts all nautical time zones and a chart that lists their zone descriptions, coordinates, and suffix. When you tap on the clock found in the lower right corner of the screen a map will display with a time zone overlay. To move the map, swipe or pinch to zoom. When you tap a yellow button, your clock will show the time for that time zone. When you tap on the clock found in the lower right corner of the screen a map will display with a time zone overlay. 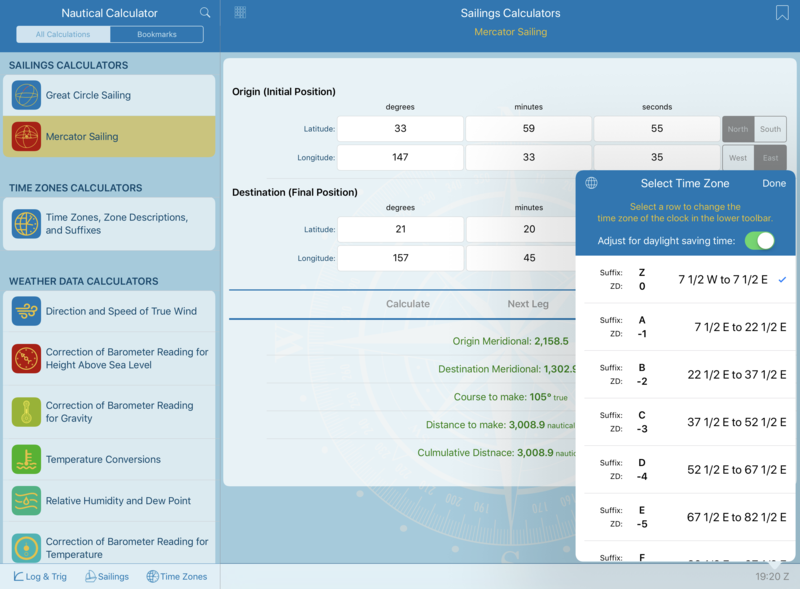 To change to the chart mode, tap the icon to the left of the words "Select Time Zone." The icon will change from three lines to a globe. To switch back to map mode, tap the globe icon.